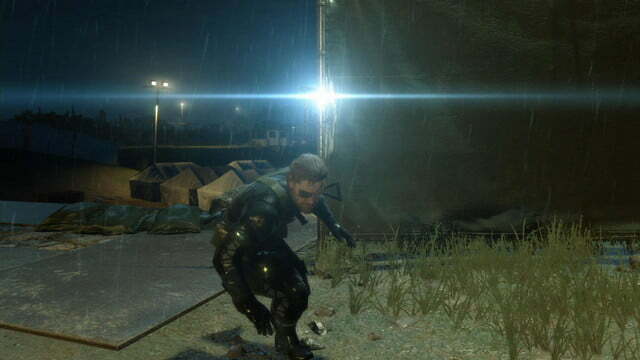 Metal Gear Solid: Ground Zeroes offers a promising taste of freedom, but there’s not much meat to feast on here. 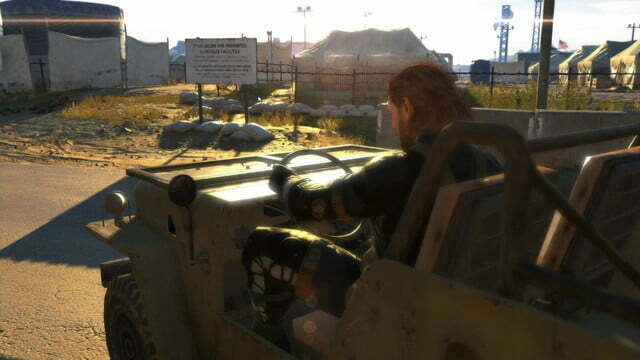 Metal Gear Solid V: Ground Zeroes is all about freedom. 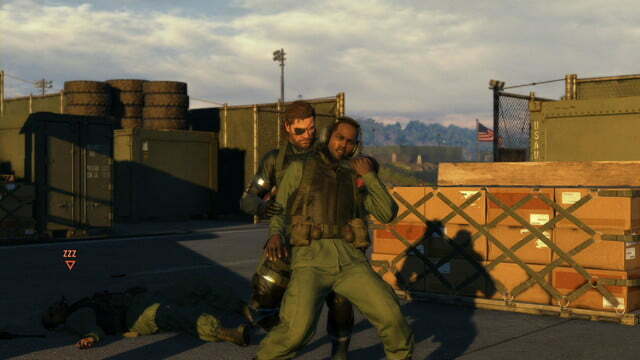 For Snake, our protagonist, it is a gift to be bestowed upon the pair of tortured detainees that he’s sent to rescue from a U.S. Marines-operated black site in Cuba. 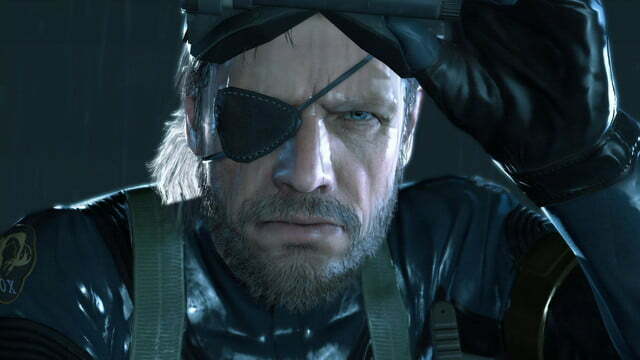 For developer Kojima Productions, it’s an overriding design philosophy that unhooks this prologue chapter from the more constrained gameplay systems of the releases that precede it. 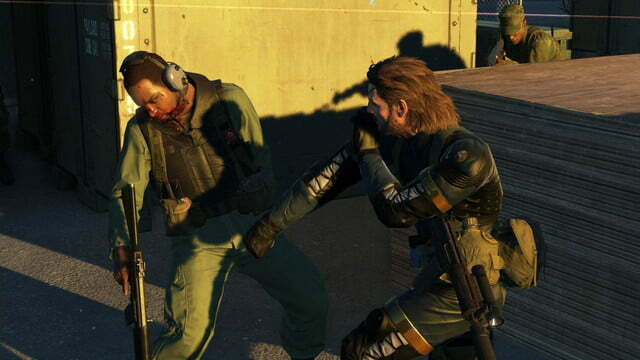 Ground Zeroes rethinks the Metal Gear ethos by opening its systems to a play-it-your-way approach. For the player, freedom is a choice. It’s a stealthy creep around the perimeter of a fortified political prison. 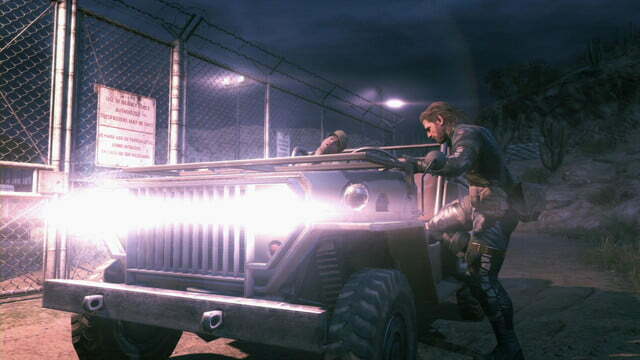 A stolen APC barreling through the thick defenses layered in front of the prison’s main gate. Do you slash throats or knock heads? Sprint for freedom under a hail of gunfire or quietly slip away? Ground Zeroes rethinks the Metal Gear ethos by opening its systems to a play-it-your-way approach. 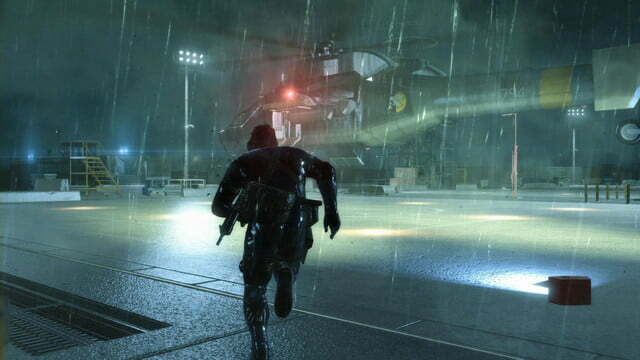 Stealth – that fundamental hallmark of the series – is an expectation, sure, but it’s never a requirement. 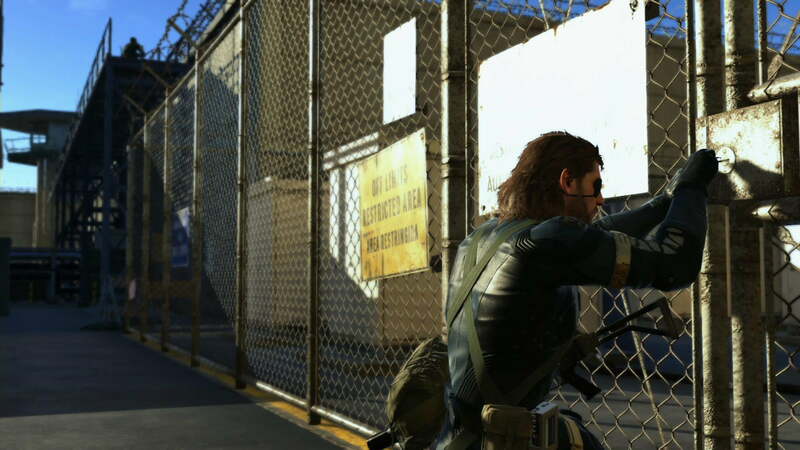 Ground Zeroes picks up in 1975, after the events of 2010’s Metal Gear Solid: Peace Walker. 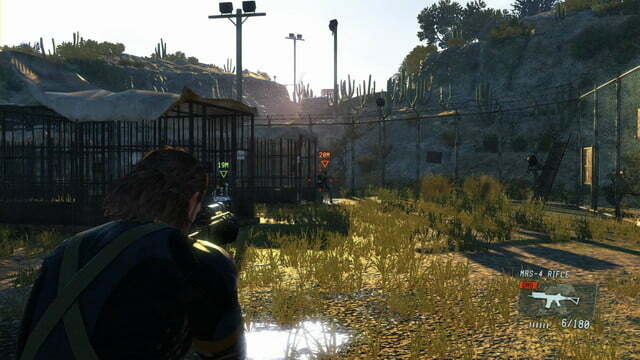 Snake – voiced now by a growling Kiefer Sutherland – is dispatched to Camp Omega to extract a pair of detainees, both of whom factored into the earlier game’s story. 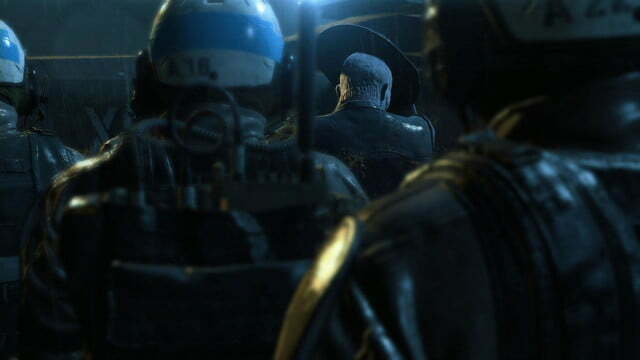 The particulars of who they are and why they matter are the stuff of Metal Gear lore, but you’ll pick up the most important bits from Ground Zeroes’ opening cutscene. This is a leaner take on the series than we’ve seen before. 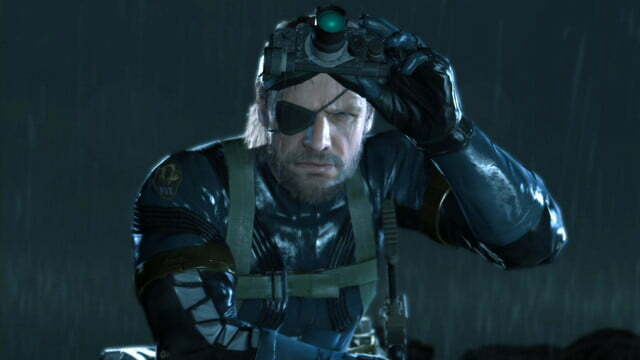 Within 15 minutes, even a total newcomer knows who Snake is and why he’s infiltrating Camp Omega. Deeper context comes in the form of collectible cassette tapes, which you earn by completing the handful of unlockable secondary missions in Camp Omega after the short main campaign is finished. These extra bits don’t amount to much more than repeat visits to the open world, but they provide a sharper hook to snare longtime fans with. The only real barrier to entry is the lack of tutorial, but its absence is mitigated by the more open-ended design. 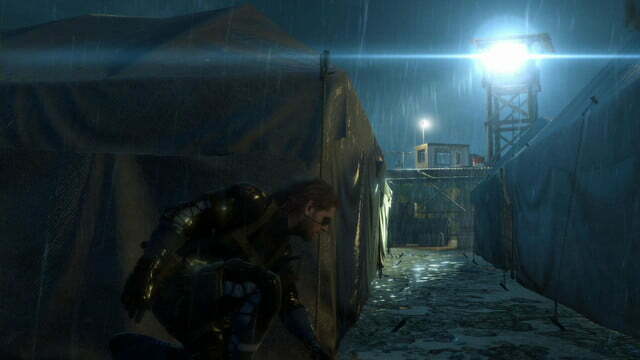 Snake starts out perched at the perimeter of Camp Omega with a general sense of where his targets are, but you’ve got to explore in order to find them. 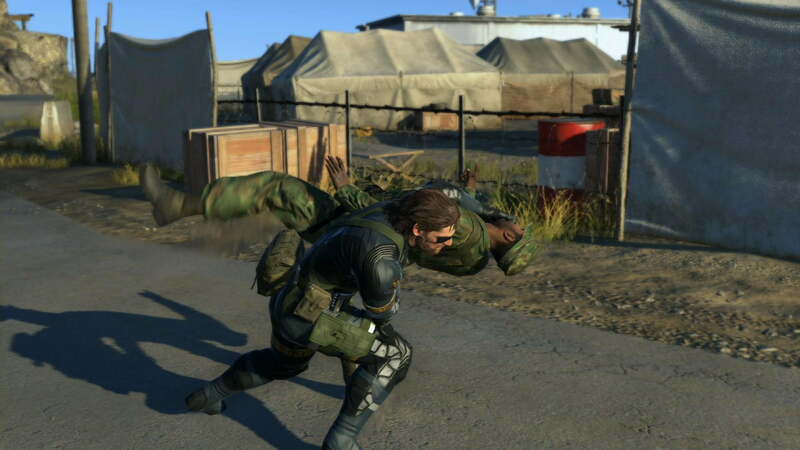 You’ll likely fail a few times as you learn the basics of movement, stealth, and combat, but generous autosaving makes it relatively easy to backtrack. 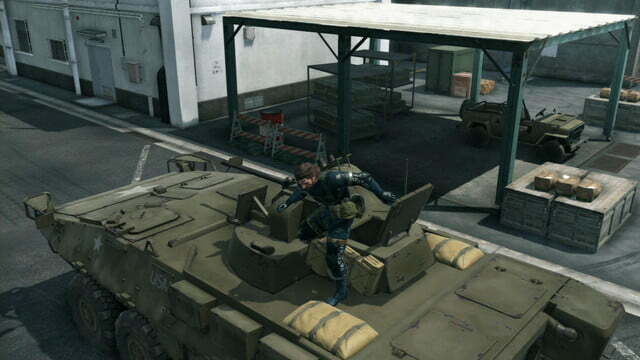 Metal Gear has flirted with open environments before, but never on the scale that’s been attempted in Ground Zeroes. Camp Omega isn’t as massive as, say, Grand Theft Auto V’s Los Santos, but it’s large enough to contain multiple vehicles and myriad approaches to tackling a given challenge. If you only see one obvious route to a given destination, then you haven’t searched hard enough. This is a leaner take on the series than we’ve seen before. 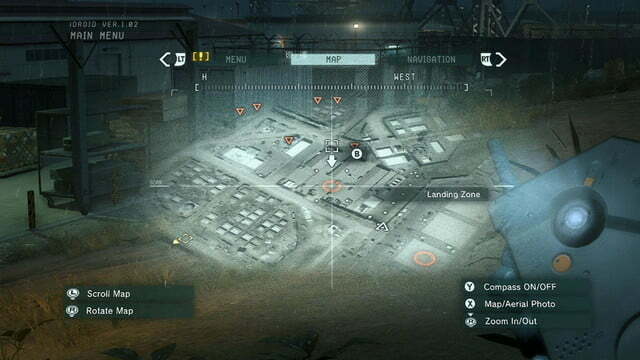 The more open design goes hand-in-hand with a back-to-basics treatment of stealth play. 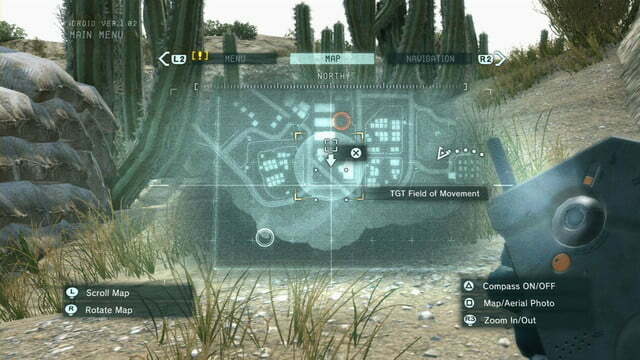 Gone are the complicated camouflage systems of past games, replaced here with a more organic execution of hide-and-seek mechanics that are built on light/dark and line of sight. It’s sometimes difficult to tell if you’re hidden or not since there’s nothing in the HUD to communicate that information, but common sense generally prevails. 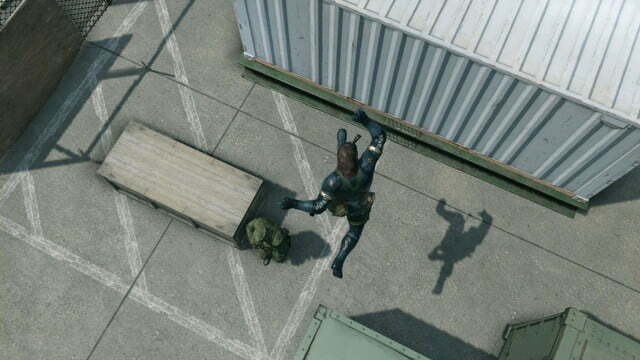 If it looks like Snake can be spotted, then he probably can be. 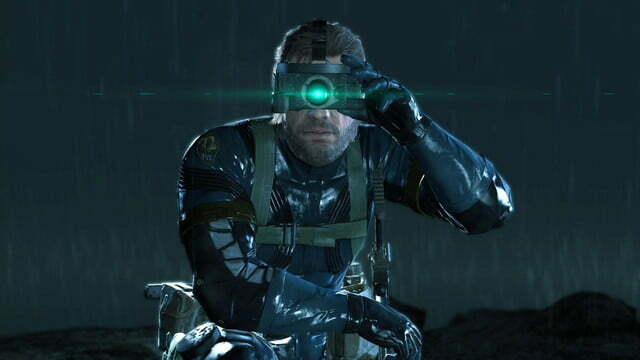 This refinement to stealth makes reconnaissance considerably more valuable, and that’s where Snake’s binoculars come in handy. You can use them to permanently mark patrolling guards, vehicles, weapon emplacements, and other points of interest. Gathering intel becomes an important component of your infiltration, especially with Camp Omega’s sectional design. You can’t ever see the whole thing from one vantage point, so progression is a constant dance between sneaking and spying… unless you choose to go loud. 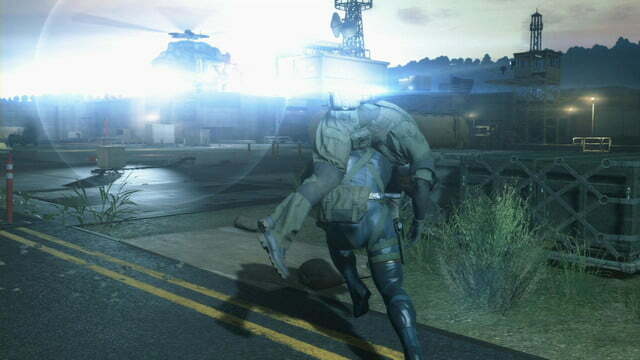 It’s generally best to avoid hostile encounters, but Ground Zeroes at least makes combat palatable when it does become a necessity. Camp Omega is dotted with turrets and other weapons of war that make unsuppressed fire a welcome option when everything goes to hell. 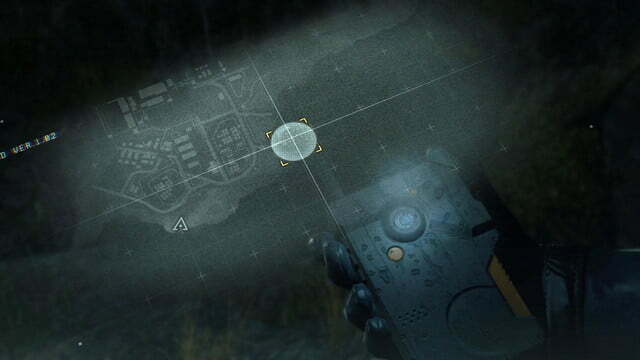 The fact that there’s an entire control scheme in the game for “shooter” enthusiasts says a lot. Trading fire with the enemy is just another option, rather than a last resort. 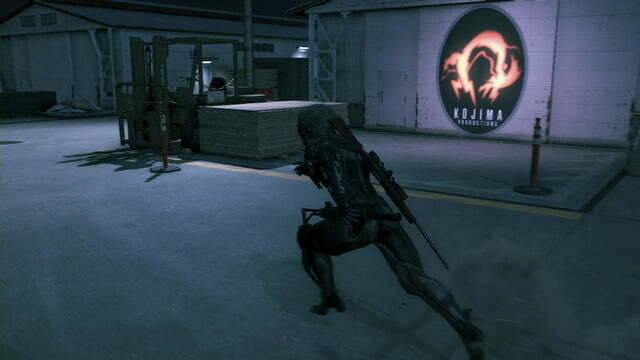 The challenge of sticking with a stealthy approach is also been eased thanks to a new slow motion effect that kicks in before an alert sounds whenever Snake is spotted. If you manage to take out the threat(s) before time returns to normal, you won’t have to worry about raised alarms or reinforcements. The feature treads well on the balance between user-friendliness and overly forgiving gameplay. 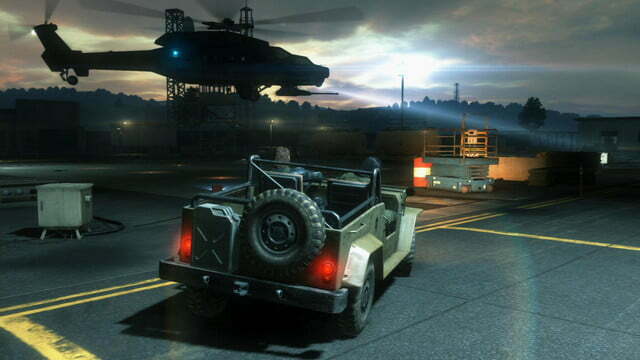 All of these pieces come together in a way that helps to make Ground Zeroes feel bigger than it actually is. 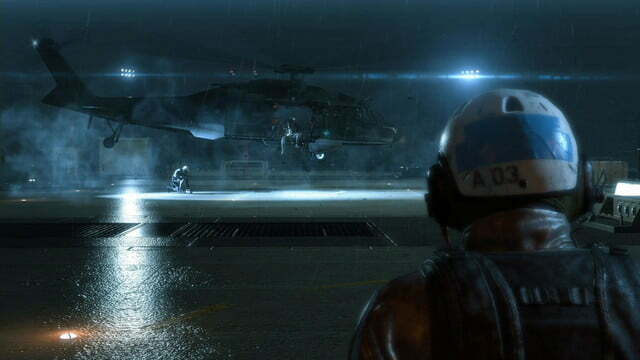 This is a teaser, something to whet your appetite as Kojima Productions works to finish off The Phantom Pain. The short campaign and its unlockable missions amount to maybe 5-6 hours of game overall, though it’s worth noting that there’s little to differentiate repeat visits to Camp Omega other than a changing time of day. If tackling five different missions in the same open-ended environment doesn’t sound appealing, this probably isn’t the game for you. Kiefer-Snake gives the camera a hard stare when we first meet him, breaking the fourth wall with the comment, “Kept you waiting, huh?” You did indeed, Mr. Snake. But the wait seems to have been worth it. Metal Gear Solid: Ground Zeroes may be short on content, but you can do a lot with what’s there. The series’ newfound focus on freedom turns what could have been a rote exercise in old-school stealth mechanics into a refreshingly tense sneak-and-peek. 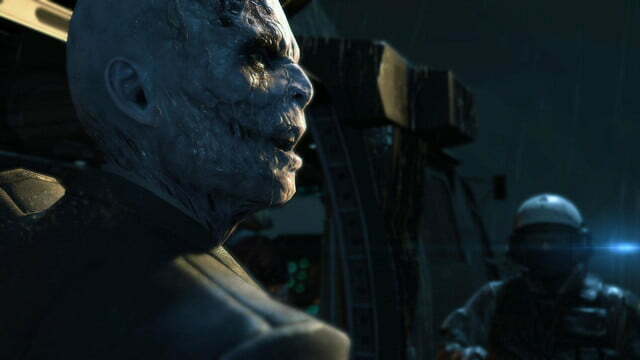 This game was reviewed on an Xbox One using a code provided by Konami.